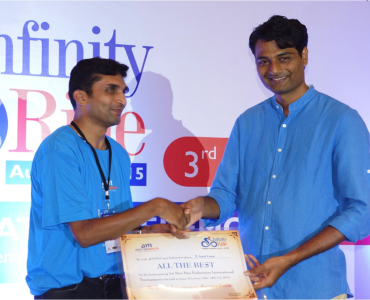 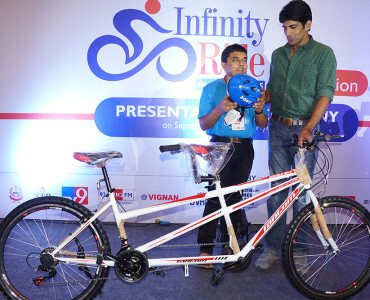 Nagesh is a visually impaired cyclist and he aspires to take this sport to the next level. 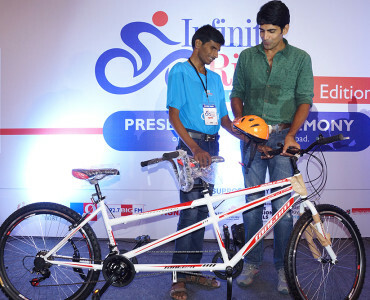 To help him achieve his goals AMF donated a tandem bicycle worth Rs 25,000/- with accessories. 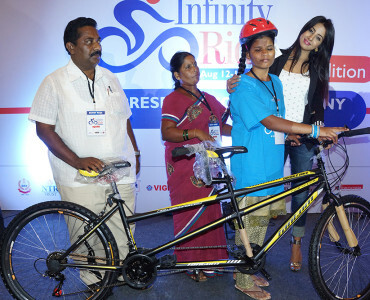 Sarala is a visually impaired girl an aspired to be come a cyclist from Hindupur, Andhra Pradesh.She had a dream of being able to bike around without any aid. 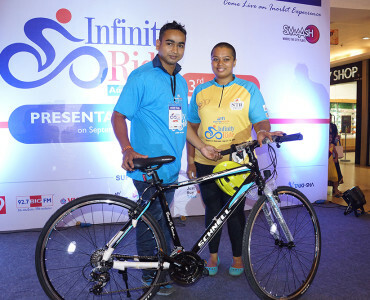 This dream came true because of AMF who helped her get a tandem cycle worth Rs 25,000/- with accessories. 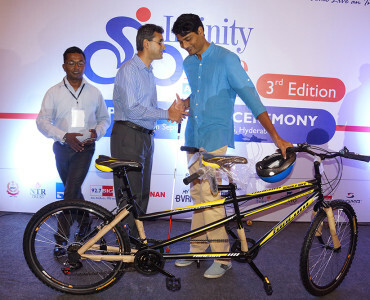 Satish is a cycling aspirant and has the drive and passion to train for the national championship. 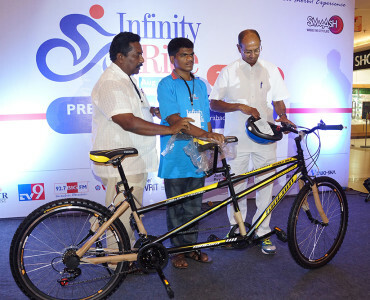 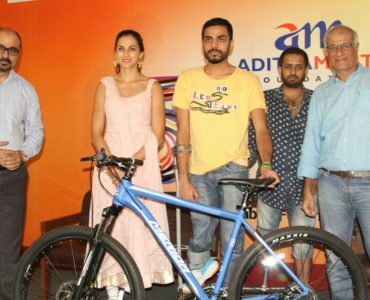 To help him pursue his goals and vision AMF, presented him with a high-quality imported limb worth Rs 60,000/- so that he can greatly improve his performance on the Bicycle and also his day to day life.